I was headed back to Denver today, but on a whim I decided to stop by the Twistex Memorial in El Reno, Oklahoma. The last time I’d been there was on September 19th, 2013, about 4 months after a gigantic 2.6 mile wide EF3 tornado killed four storm chasers on the roads just south of El Reno. 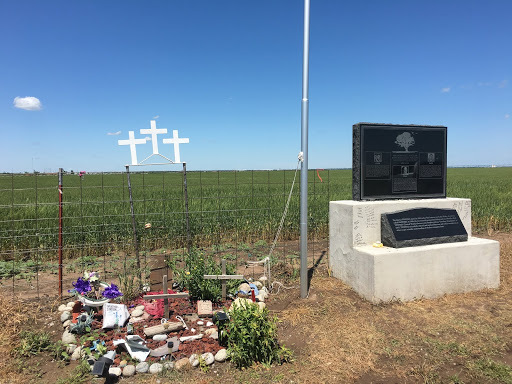 I did not personally know Tim or Paul Samaras, or Carl Young, but I knew of them and their work and they were highly respected in the chaser community. Little known was the fourth chaser, Richard Henderson. Henderson was an amateur like myself. I think about that sometimes. To my surprise I ran into four storm chasers already there, including Skip Talbot! I’ve watched his El Reno safety videos, storm structure video, and his narrated chase videos many times. I found them all extremely helpful in shaping my own ideas I would try for storm chasing; from intercepting storms to having avenues of escape planned. They’re the best videos I’ve seen for actually talking about what a chaser was thinking and planning as their day is unfolding. In some ways they’re part of the reason I’m writing these logs. All of them were very friendly. Cory Pagel, Jean-Francois Massicotte, and Darren Lo were there as well, and it was really great to finally talk about storm chasing with people who felt the same way as I do about it. They were nice enough to invite me to lunch and we headed to a small diner in El Reno proper. I have a nagging feeling that I babbled a bit too much. I hope not! It’s odd. I went there to look at the memorial and expected a somber setting. I ended up happy all the way home. 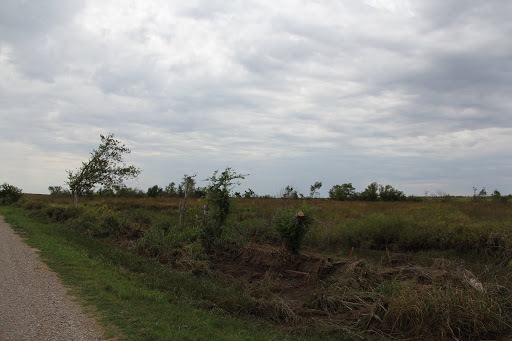 El Reno – the intersection of Reuter and Radio Rd on 9-18-13. This is approximately where the Twistex Memorial now stands. To me, this place is both a nice tribute to them and maybe also a sobering reminder to chasers.